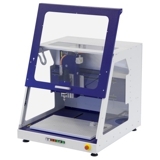 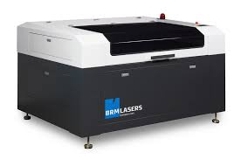 Lasercutting & engraving machine with a 100Watt laser, suited for cutting PMMA, wood, cardboard, paper, rubber, foam, textiles, leather... up to 12mm. 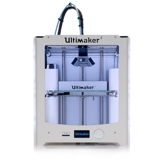 High End FDM Technology to build in real ABSplus thermoplastic with soluable support material. 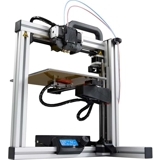 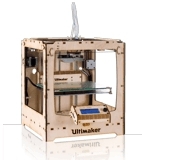 Low cost FDM 3D printer mostly used to build in PLA material. 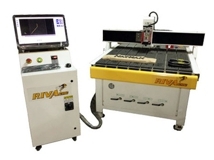 CNC router table for large flat materials. 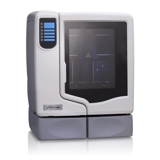 Input is a 2D or 3D CAD model.